This set of 8 milk glass berry bowls are the Golden Anniversary or Golden Shell Swirl pattern made by Anchor Hocking. 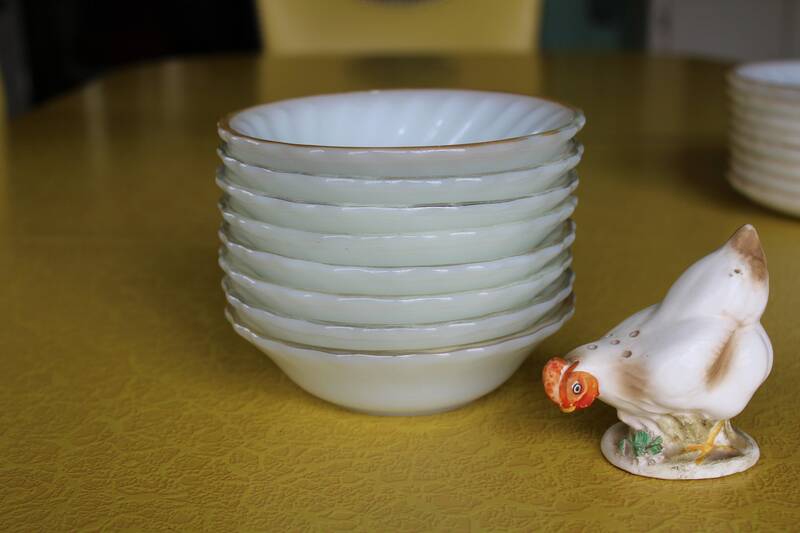 These small white bowls were kept outside and all have faded gold rims. Price reflects. You get all 8 bowls. They are otherwise in excellent vintage condition. Nice and shiny. No utensil marks. Please use your zoom for a good look.